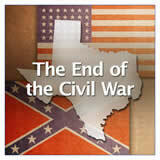 Issues leading to the Civil War, Texas secession, Texas contributions to the Civil War, Civil War battles, the end of the War, Reconstruction. 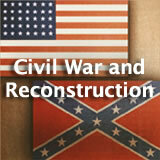 Civil War and Reconstruction unit contains 10 learning experiences. 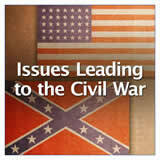 Students learn about three issues leading up to the Civil War—slavery, states' rights, and sectionalism. They read about slavery and how slaves were treated in Texas, they watch a video about the time period prior to the Civil War, and they draw a cartoon illustrating sectionalism. 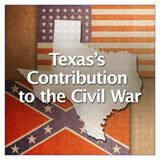 Students learn about the soldiers who fought in the Texas Confederate Army and those who were exempt from the conscription law. They read about the roles of Lubbock and Hebert, and how women's role changed due to the war. Finally, they identify a problem and solution that a female soldier may have had fighting for the Confederate Army. 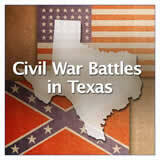 Students learn about three Civil War battles that were fought in Texas—Battle of Galveston, Battle of Sabine Pass, and Battle of Palmito Ranch. They identify the dates of the events, the commanders in charge, and important details of each battle. 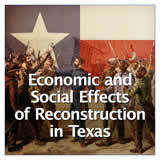 Students learn that the war had political, economic, and social impacts on Texas, and they identify some of those impacts. They read a letter from a soldier asking Governor Lubbock for food for his family, and then they write a response to the soldier from the governor's point of view. Students learn about General Lee's surrender to General Grant at Appomattox. They will identify similarities and differences between the two generals. Finally, they will work together to identify important details about several Confederate officers that surrendered after Lee. Students learn about the Freedmen's Bureau and how it aided African Americans after the Civil War. 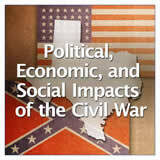 They explore how segregation between the races continued and the rise of the Ku Klux Klan. 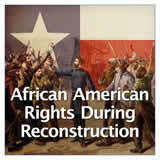 Finally, they learn about three African Americans from Texas who impacted people through their political forces. 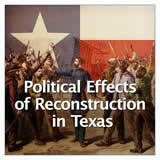 Students learn about the Reconstruction Era and what Texas had to do to rejoin the Union. 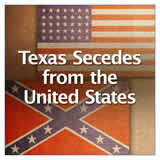 They compare and contrast the Constitution of the United States and the Texas Constitution of 1876, including the Bills of Rights. 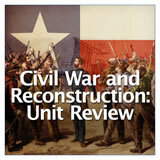 including the Civil War and Reconstruction Unit.